PetSmart is doing a voluntary recalls of a single lot of Grreat Choice Canned Dog Food due to possible health risk. This product is being voluntarily recalled as a precautionary measure due to metal contamination that could potentially be a choking hazard to pets. The recalled products include the following Grreat Choice dog food sold between Oct. 10, 2016 and Feb. 7, 2017. 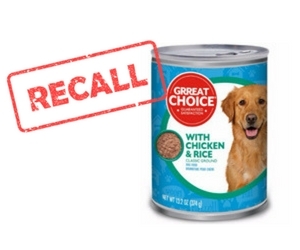 The recalled product is Grreat Choice Adult Dog Food with Chicken & Rice Classic Ground, 13.2 oz. cans, with Best By of 8/5/19 and UPC of 7-3725726116-7. 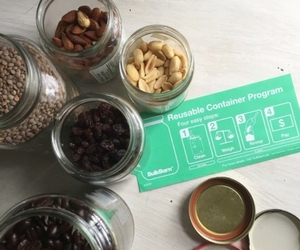 Customers who purchased the recalled food should stop feeding it to their pets and bring any remaining cans to their local PetSmart store for a full refund or exchange.